Billy Corgan’s takeover, the ALL IN rematch, the company’s seventy year history, and more. The National Wrestling Alliance dominated the wrestling world until Vince McMahon's WWE captured everyone's attention in 1985 thanks to his new brand of sports-entertainment. By the 1990's the NWA floundered in relative obscurity but last year began to slowly creep its way back into prominence when Billy Corgan, leader of famed rock band the Smashing Pumpkins, purchased the company. Now, Corgan's revitalized NWA, with Cody as its champion, is set to produce their first pay-per-view event since their affiliation with TNA Wrestling ended in 2004. 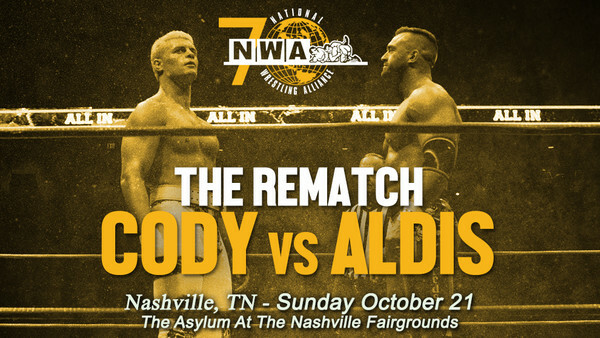 Live from The Asylum in Nashville, Tennessee and broadcast via Fite TV, NWA 70 will mark the organization's return as they celebrate seventy years of existence and look forward to a hopefully fruitful future. The NWA title was recently featured at the ground-breaking ALL IN pay-per-view and will be defended by Cody in a rematch against Nick Aldis. The company will also crown a new National Heavyweight Champion following a one-night, eight-man tournament, and former WWE Superstar Jazz will defend her World Women's title. 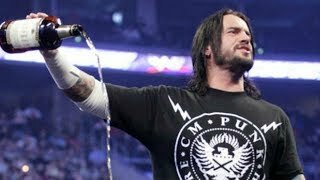 With that, let us breakdown the NWA's lineage and resurgence -- from Billy Corgan's purchase of the company to what can be expected at NWA 70 and going forward.